Printhie’s shiraz (syrah) vines are traditionally cane pruned. They were trialling changing a small section of the vineyard over to an alternative form of pruning – spur pruning. This small section of vineyard had a fairly small grape yield and they wanted to keep it separate from the rest of the fruit in the vineyard. So the crew invited lots of local friends to bring their families out to help hand harvest the grapes in return for a BBQ lunch. Printhie harvested just one tonne of grapes. The grapes were de-stemmed, crushed and then fermented in 2 small bins. After pressing there was just enough wine to fill 2 barrels (600 litres) which were new in the previous vintage. They completed full malolactic fermentation in barrel and then rested quietly over the winter. As the wines warmed up in the following spring the team began to realise they had a very different wine to the rest of the shiraz they had vinified. These two barrels were intensely aromatic with strong floral and pepper spice characteristics with a palate structure that appeared to be the antithesis of the rich and robust Aussie shiraz style. Fresh acidity, long supple tannins with a less-is-more approach to complexity – less in-your-face impact, more complexity to enliven the palate. It appeared to us that this wine was indeed worthy of remaining separate to our other shiraz batches. It was so individual and had so much character it would have been a shame to have blended it away. So now the Super-Duper Chardonnay had a partner. The Prithie team decided to give it the ‘Syrah’ moniker as the style of wine was far more reflective of the French syrah style than Australian shiraz. 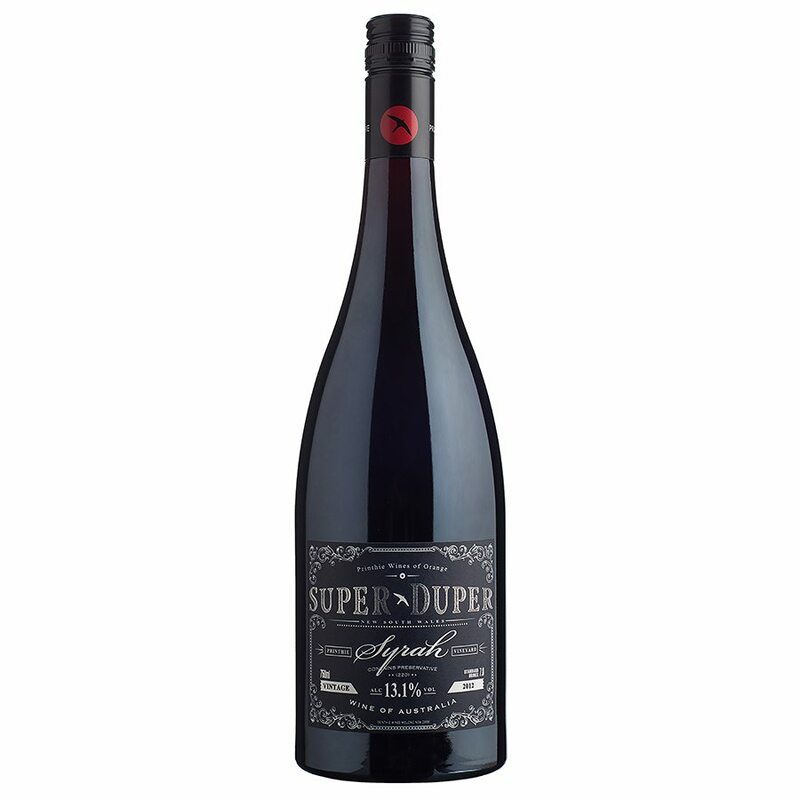 The Super-Duper Syrah will be a new experience for many drinkers of traditional Australian shiraz, yet it represents a delightful and intriguing expression of this variety.